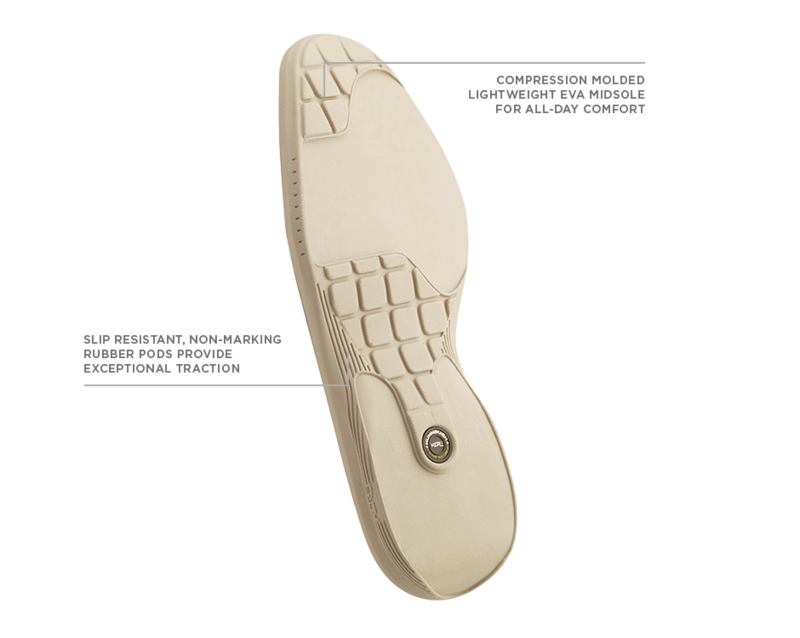 The dual density outsole is created from a slip-resistant, rubber tread pattern designed to add traction and durability. The midsole is created from a lightweight walkable EVA and provides athletic inspired comfort and shock absorption. 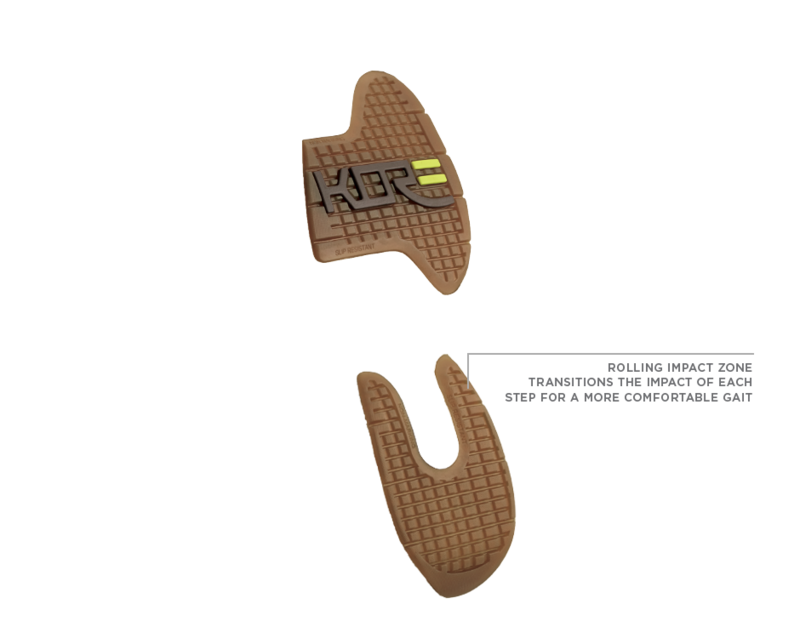 And, the rolling impact zone on the heel transitions the momentum of each step to help create a more comfortable walking cycle.